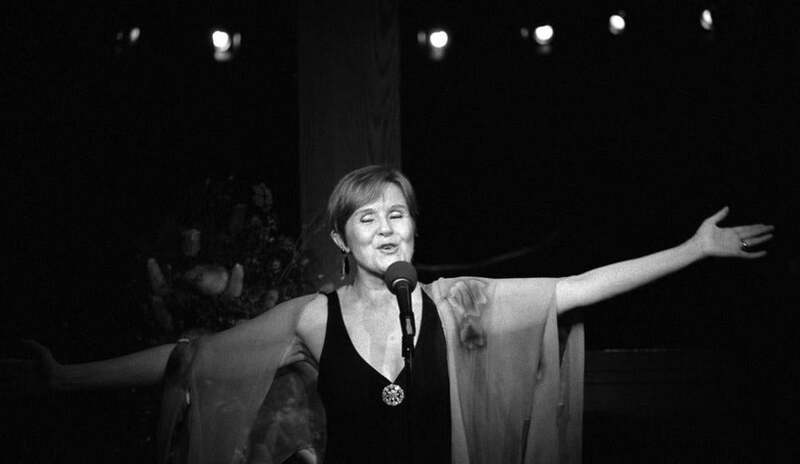 Barbara Lea performed at Jan Wallman’s club in New York. NEW YORK — Barbara Lea, a jazz-influenced cabaret singer known for an intense fealty to words and music that resulted in interpretations of masterly subtlety, died Dec. 26 in Raleigh, N.C. She was 82. The cause was complications of Alzheimer’s disease. Ms. Lea, who began her career in the mid-1950s and recorded until a few years ago, had a supple voice. Its gentle huskiness recalled the sound of a viola. Though she was somewhat less well known than contemporaries such as Barbara Cook and Julie Wilson, she was esteemed by lovers of American popular song for her pinpoint diction, sensitive musical phrasing (she had a degree in music theory from Wellesley College), and nuanced attention to lyrics as a form of poetic speech. Throughout her career she emphasized contemplative, deliberately understated interpretation: What interested her was the exquisite confluence of text, timbre, tonality, and timing encapsulated in the best popular songs. Her job, as she saw it, was to embody the intent of composer and lyricist through careful attention to all these things. In midcareer, to combat lifelong stage fright, Ms. Lea studied acting. This led to a second vocation as an actress in summer stock and regional theater. Barbara Ann LeCocq was born in Detroit. Her greatest influence was Lee Wiley, a singer of the 1930s and afterward known for bringing a jazz sensibility to American popular song. As a student at Wellesley, Ms. Lea sang with the Crimson Stompers, a Harvard Dixieland band. After receiving her bachelor’s degree in 1951, she performed at clubs in Boston before moving to New York. If Ms. Lea’s style was too low-key for some critics’ taste, then that, by her own account, was absolutely fine.